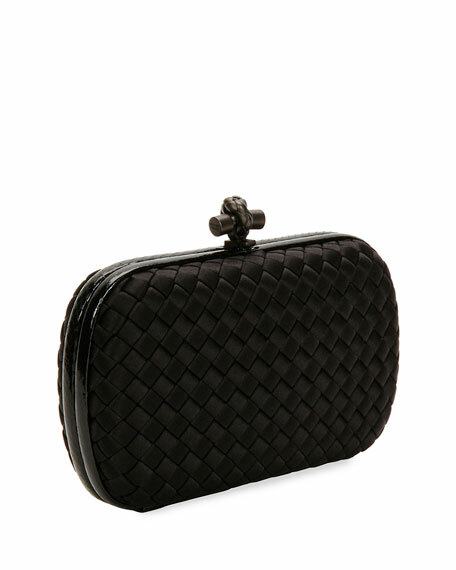 Bottega Veneta clutch bag in signature intrecciato woven satin. Snakeskin trim and brunito brass hardware. 4.7"H x 7.9"W x 2"D.
Exclusively ours. 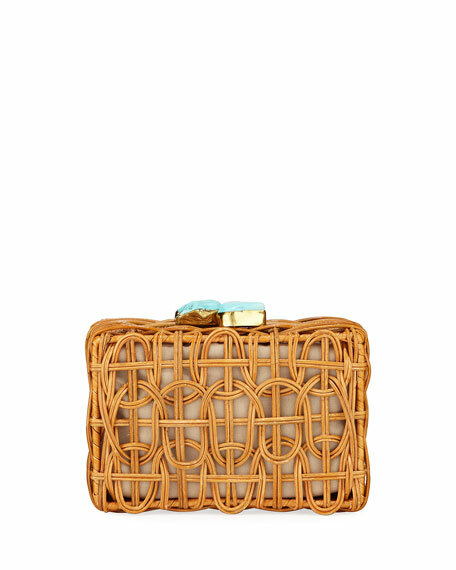 Aranaz woven rattan clutch bag with golden hardware. Magnetic closure; hinged bottom. Turquoise-tone natural stone accents. Cotton fabric lining, one slip pocket. 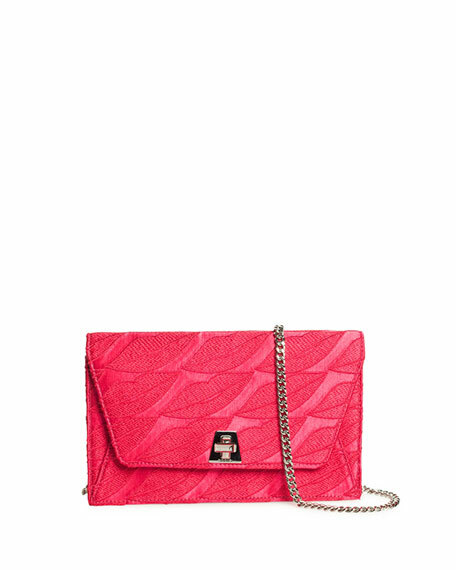 4.5"H x 7"W x 2"D.
Exclusively ours. 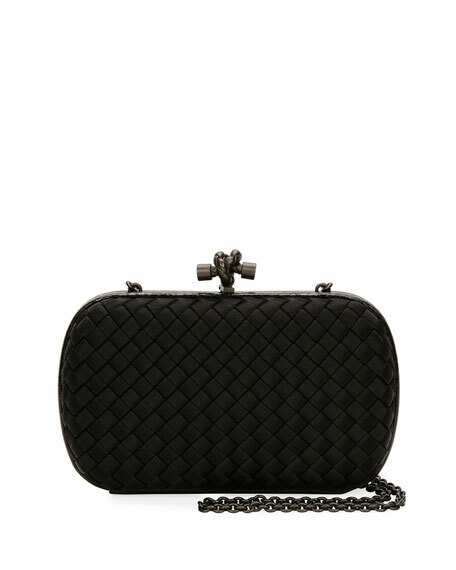 BAO BAO ISSEY MIYAKE clutch bag in twisted, geometric mosaic of polyurethane, polyester, nylon, brass, and horsehide. Tension frame. 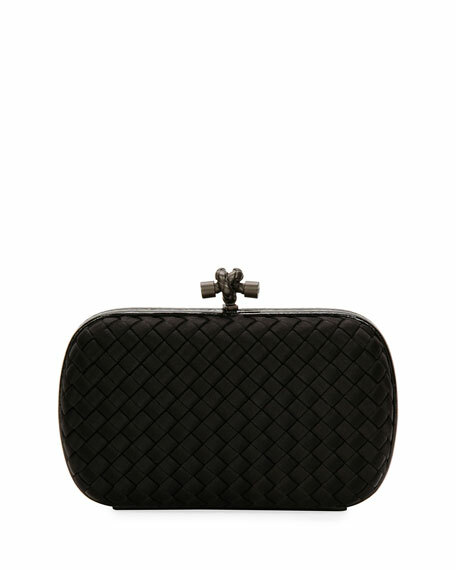 6.2"H x 11.8"W x 2.8"D. Inside, polyester lining; one zip pocket. 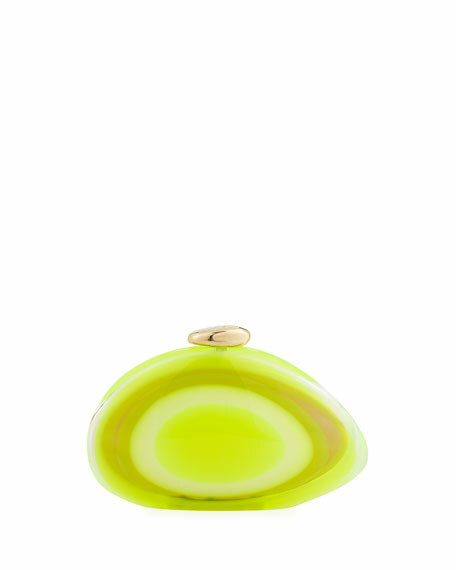 Benedetta Bruzziches smooth polished minaudiere. Lightweight, unique piece of artwork. Hinged bottom; lift-lock top closure. Interior, satin lining; removable pouch. 5.5"H x 9.8"W x 2.6"D. "Ariel" is made in Italy.